There are plenty of reasons to relocate. Maybe you got offered a new job. Maybe you need more space after outgrowing a starter home. Maybe you want to move closer to family, or it could be something as simple as wanting a change of scenery. Regardless of the reason, you might consider moving to the state of North Carolina. With its gorgeous and varied landscapes, diverse cultural attractions, great schools, and more, NC is a tempting option. Here are three reasons why you should consider moving to North Carolina. Exploring North Carolina’s varied and beautiful landscapes is an absolute must. There are plenty of things to do and see in the mountain region, like mountain hiking and camping to name a couple of more obvious activities. The more adventurous might go for activities like zip lining and winter sports, such as skiing or snowboarding. Fans of animals can enjoy horseback riding and plenty of farm tours, like the Alpaca farm tour in the Appalachians. Those who want a more strenuous experience as they take in the landscape from on high can opt for mountain climbing, with Grandfather Mountain being a particularly popular destination. And, of course, it would practically be a crime to visit the region without seeing as least one of the near dozen state parks. Those considering living in this region of the state would do well to look into West Jefferson real estate. Mountains aren’t the only natural beauty the state offers. On its opposite end, the state has plenty of stunning beaches and coastal cities. North Carolina is known for its hundreds of miles of beaches presenting practically limitless opportunities for sightseeing, relaxation, water sports, and fishing. The inner coastal plains boast a plethora of diverse towns with plenty of restaurants and attractions, like the Battleship North Carolina. And what would a description of NC’s coastal region be without a mention of the Crystal Coast? Containing nine unique regions, sights range from towering lighthouses to the greenery of the Indian Beach. Some other opportunities include boating and the best scuba diving in the state. It’s simply should not be missed by anyone in the area. Besides all the great sites, North Carolina also offers a bustling job market and excellent schools. Some of the most notable opportunities in the state are the jobs available in Research Triangle Park, which consists of over 170 companies. It is named after the major research universities in the area including Duke, North Carolina State, and University of North Carolina. It is the largest research park in the country, making it very appealing to young professionals looking to jumpstart a career and experienced researchers alike. The colleges in “The Park” are just some of the great educational opportunities North Carolina has to offer. The state has plenty of options for younger learners in both public and private schools, as well as early college options through partnerships with Community Colleges. As for universities outside the park, Appalachian State University has been named as one of America’s top colleges, and there is an advanced nursing program through East Carolina University. The extremely active college sports scene is just a bonus. North Carolina is brimming with art and culture, from folk art and music to museums and landmarks, there’s something for everyone. 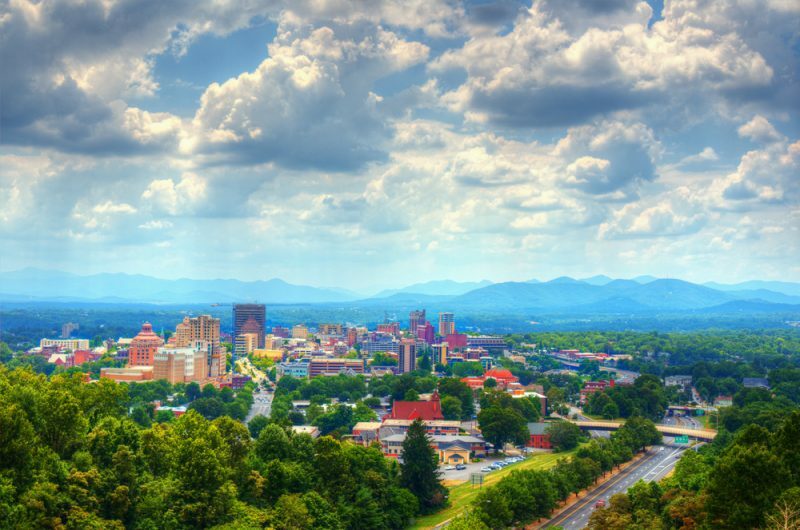 Asheville, NC has been called one of the 12 best music cities in the country, so it’s a must-visit for eclectic music fans. Those looking for something a bit more quiet and reflective may enjoy exploring the beauties of Biltmore Estate. North Carolina has an incredibly wide range of restaurants and craft beer options as well, and these are constantly expanding. The state is also home to some American icons like Pepsi and Krispy Kreme. There’s certainly no shortage of things to do in North Carolina and plenty of opportunities for people who need a fresh start. Add the affordable cost of living to the equation, and moving to this southeastern state could be a positive change for virtually anyone.